Since the Star Wars “canon” was reset in April 2014, I’ve had a wish list of stories I wanted to see told, all filling gaps in the prequel era. While the first few years following the “reboot” focused mainly on the original trilogy, I held out hope that we would eventually see a novel about Padmé set between Episodes I and II; an origin story for Dooku’s turn to the dark side; and the great missing piece from The Clone Wars, the Siege of Mandalore. Someone must have been listening. What I wanted more than anything, though, was a novel about my favorite character, Qui-Gon Jinn. And after her incredible short story “Master and Apprentice” in 2017’s From A Certain Point Of View, I knew I wanted Claudia Gray to write it. From the heartbreaking Lost Stars to her work with Leia in Bloodline and Princess of Alderaan, Gray has been one of the shining stars of the new novels. So maybe I was pre-programmed to like this. 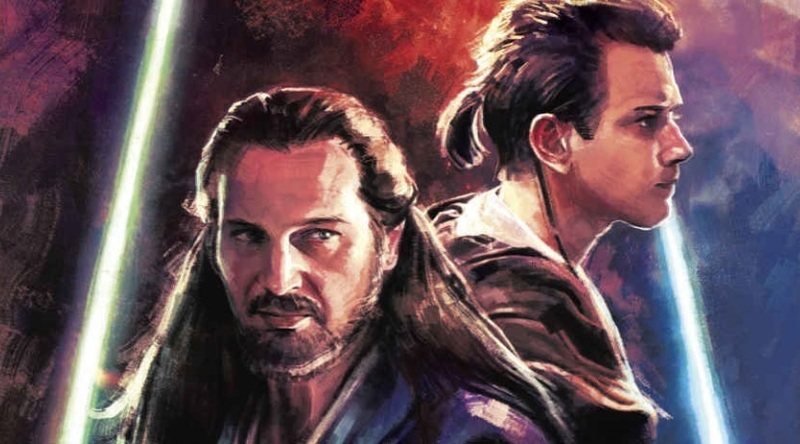 I can honestly say, though, that Master & Apprentice is everything I wanted it to be, and more: a look inside the mind and beliefs of Qui-Gon Jinn, an unexplored take on his relationship with Obi-Wan, and something of a love letter to fans of The Phantom Menace. Ah, clickbait. “Star Wars: The Phantom Menace is To Blame For Modern Cinema Culture” is a wonderfully clickbaity headline, and I was baited to click. Now I’m going to add my voice to the silliness. The article, by Hannah Jenkins, caused a bit of a stir in the digital gazebo known as Star Wars Twitter, arguing as it did that TPM was responsible for many of the trends in current popular cinema, the good and the bad. Most of these arguments were not particularly convincing. The true legacy of TPM, and the lessons we can take from it, can be found when we look not at the industry or at the movie itself, but at ourselves. Jenkins argues that TPM’s trailer was a defining moment in the marketing of movies, and there’s truth in this. Suddenly the advert was an event in and of itself, and following the “illegal” sharing of it across the internet, studios quickly had to catch up with this new digital way of consuming these things. I remember spending anxious hours downloading each Attack of the Clones trailer via dial-up on QuickTime (an ironic name if ever there was one), and being irritated by Warner Bros.’ attempts to force us into the cinema to watch Scooby Doo by releasing only a thirty-second trailer for the trailer of Harry Potter and the Chamber of Secrets online. Maybe TPM did lead the way to the era of big simultaneous Super Bowl/Twitter trailer reveals. 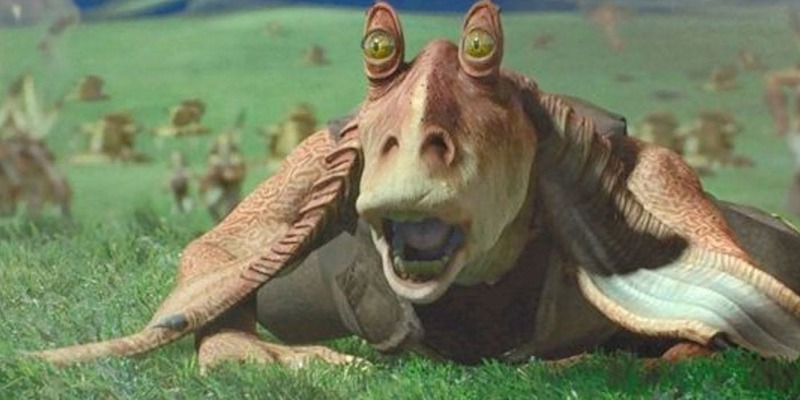 And Jar Jar Binks was certainly a leap forward when it came to motion capture, though this can be overstated: he was hardly the first fully CGI leading character in a movie, with Casper, Dragonheart and Mars Attacks all preceding him. 2019 looks like it will be a year of transition for Star Wars. We will see the release of Episode IX, the end of the Skywalker Saga and the only Star Wars film currently known to be in production. The release schedule for future film series remains a mystery, and with Rian Johnson currently working on Knives Out with Daniel Craig, another Star Wars film before late 2021 seems out of the question. The A Star Wars Story anthology movies appear to have been shelved for the moment, with Bob Iger suggesting a general “slowdown” of releases following Solo’s box office under-performance, which he attributed to poor scheduling and marketing, and trying to do too much too soon. The future of Star Wars at the cinema may be closer to the Lucas model – big events, trilogies and occasional breaks between them. Instead, this year will see a shift toward television. The Mandalorian will debut on the Disney+ platform, and by then the Cassian Andor show will be well into production. As Lucasfilm’s strategy changes, now seems as good a time as any to celebrate the two anthology films we did get, look at what they achieved, and hope that similar stories can still be told on Disney+. Because to my mind (Star Wars Rebels being in a class of its own), Rogue One and Solo are the best live-action works of the Disney era. The notion of a Star Wars afterlife takes us deep into the spiritualism of the Force, but we must be cautious, because the Force is a hybrid philosophy. There are elements of various religions, and it is not solely any of them. George Lucas described himself as a “Buddhist Methodist”, and we see Taoism and Buddhism in the ideas of balance and non-attachment, while concepts like the corrupting nature of the dark side and Faustian pacts echo Christianity, not to mention Anakin’s miraculous birth. Carl Jung, whose theories underpinned Campbell’s heroic cycle, was a devout Christian who also saw the value of Eastern religions. There is even an element of Pantheism, a belief system that rejects organised religion in favor of finding god in nature. Relying exclusively on any of these to “unlock” Star Wars means ignoring the others, as well as Lucas’s personal beliefs and experiences. We have to rely instead on the canon itself. In “Destiny”, the mysterious Force Priestesses explain to Yoda the duality of the Living Force (the world around us) and the Cosmic Force (the arena of destiny, and presumably the Whills): “When a living thing dies, all is removed. Life passes from the Living Force into the Cosmic Force, and becomes one with it.” There is a symbiotic relationship, as Yoda says in The Empire Strikes Back: “life creates it, makes it grow.” The material world is not a “lesser” place of sin, but an essential part of the whole. To be mindful of the Living Force, Qui-Gon teaches in The Phantom Menace, is to be aware of the world in the present moment, and to help ease the suffering of others. There was little in the original trilogy to indicate that the ability of a Jedi to reappear as a shimmering blue ghost wasn’t commonplace, a natural and inevitable thing that happened after a Jedi’s death. Yet this line from Obi-Wan, combined with Darth Vader’s surprise when he vanishes and leaves only his cloak, always suggested that there was more to it. How could Vader, a former Jedi who fought in the Clone Wars and killed many Jedi himself, be surprised by this? While George Lucas’s mythology grew and developed and was refined as he went along, this always suggested a mystery bubbling underneath the story. That mystery might be the key that unlocks the entire Star Wars saga. All the Jedi in the original trilogy reappear as ghosts, while the Emperor, the only darksider to die a darksider, is cast into a pit in a violent explosion of energy, as if he has fallen into oblivion. This, combined with Obi-Wan’s taunt, implies something profound about a Jedi’s connection to the Force that those on the dark side do not share. When the prequel trilogy came around, Qui-Gon Jinn died and did not vanish into the Force, raising further questions about how and when the Jedi learned the ability. Ironically, it was Qui-Gon himself who held the key.